Two days every month add up to 11. They are 11th and 29th. The magic of the number 11 is always phenomenal. It stirs you. It moves you. It stands alone courageous and bold. It is complete in its very own presence. You cannot just sit still with the number 11 vibration. At any time in life we move and we stagnate. We have moments of life/time and moments in life.time. The 11 Energy brings forth personal Inner Shifts and deep personal Transformation. And even more so when you double it, triple it or quadruple it. What is an Inner Shift? An Inner Shift is a change in you that you may or may not be aware of. You will suddenly notice that in situations you used to be angry in you are not – you are reacting in a different way. An Inner Shift manifests deep within you so you may not even notice. Your reactions and responses to people and situations change – ever so slightly that you may not notice – or dramatically (you suddenly go from eating bread to not eating bread). An Inner Shift can be conscious or not. It can be elusive. It is happening whether or not you realise it. Like water which flows constantly it is always fluctuating making space for more growth or less growth in one area or another. There are different kinds of shifts and levels of shifts. Some will take us up and some will take us down and some will cause us to stay stuck or stagnant. How we choose to work with our shifts determines how far we go. External activities can create an Inner Shift. Examples of external activities are going to a retreat, a meditation gathering, listening to a great teacher, reading a great book, practicing yoga or a spiritual practice, praying, invoking, drumming or silence. You may suddenly have the desire to do your CV and get that job you know is yours. You my suddenly know that you have to marry that person and have children with them. Inner Shifts happen anywhere – you do not have to leave your home for an inner shift though people like to gather in places they consider sacred space and feel the energy of the space and the teacher building up and helping them reach a state of ‘holiness’ that induces an Inner Shift. A Transformation is an alchemical process like turning dust to gold. It is a process of change. Something in you changes and for example, you feel peace where you used to feel anger. Your response to yourself is better and more inclusive. You are in touch with yourself – the New You, the Transformed You, the True You. A Transformation may be good, producing great impact on humanity or it may be bad creating negative behaviour to humanity. Transformation can be visual in appearance, form, nature and character. It can be inner as well as outer. Spiritual Transformation is a fundamental change in a person’s sacred or spiritual life. We see this in nuns, priests, yogis, spiritual teachers, etc. They practice and live their belief in a certain way, with certain defined guidelines, and they are defined by the way they live. You could find an altar in the house of a person who is a practising healer or crystal healer. Their home takes in an energy of spiritual transformation that they represent and create. They make their space sacred and holy. They may fast, practice meditation, sit in silence, chant, etc.which induce a state of calmness and oneness with nature; enabling a deep inner transformation that activates the great qualities of love, peace, relaxation and compassion. Practices like Tai Chi, Chi Kung help produce great internal energy, life force and well being. In the picture below the ladies and gentlemen where in a state of deep meditation when they lifted up their hands to receive their blessings and downloads. In lifting their hands up they are making the number 11 and using their hands as strong pillars to download codes, etc..
2 is a number of co-operation and team work. 11 is a Master Number with many meanings. 11 is two ones making eleven. It is coming together to make something. It is the Door Opening for two but not two to come in and one but not one to come in. It is a portal of Love. It is a portal of Evil as well; causing chaos and change. We have 9/11 (September 11) with the Twin Towers. We have the election on 11/9 (November 9) with Trump Towers winning the election. The Tower Card in the Tarot deck always represents change, break down of the old establishment or way of being, breakdown of a way of thinking or believing or being. It uproots – it tumbles. It forces change like volcanoes. Everything is thrown up into the air and everything erupts and causes disruption and suffering and pain. 11 is a time for Inner Work. Looking deep within your conscious, unconscious, subconscious and super conscious level. 11 illuminates. 11 inspires. 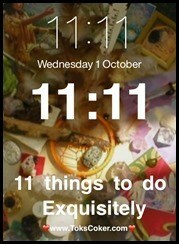 11 asks us to look deeply at a thing. 11 says time for real Internal Shifts that push Deep Internal Transformation producing great results on Earth and in the minds of the collective. 11 stands together. 11 is united. Yet it is separate and alone with a strong stand alone spirit. What does the number 11:11 mean? We have a 4/22, 22/4 vibration. A vibration that brings improvements after learning the deep inner lessons. 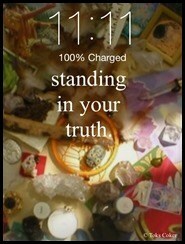 11:11 is a double digit, which is also a Master Number with many meanings. It represents the endless connection and gateway to the unknown and known mysteries of the universe and beyond. It is two double pillars of strength with a strong foundation. It is a Master Number. A Power Number. A Masonic Number. A Magic Number. A Miracle Number. A Mysterious Number. An Intuitive Number. An Awakening Number. An Ascension Number. A Holy Number. A Divine Number. An Activation Number. 11:11 is a Doorway, a Gateway. It is the Doorway to Destiny, to live, to your purpose. It is the Doorway that helps you achieve your purpose, vision and goals. It is the Key to Other Realms. It announces a change or imminent change. Something that will affect your life or humanities. It is the DNA matrix. It is a remembrance – a memory trigger – a reminder. A reminder of who we are. 11:11 has space between them. Is this space happy or sad? Is it friendly or unfriendly? Is this a space for peace or war. What is in that space between them. 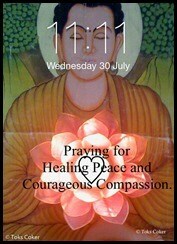 11:11 says inner change is what is needed to transform this word – not outer change – inner change – an inner shift. A Lotus Flower blooms in dirty water. You are the Lotus Flower who seeds and blooms at the same time in the dirty pond, which nourishes the Lotus Flower. So you are creating beauty all around you no matter what is around you. Have 11 gifts to give away to 11 different people. They may be people you know or do not know. But give with the 11:11 energy. These are blessing gifts. They travel round you 11 times!!! They are not expensive gifts – today we can get gifts for £1. However you may be able to afford expensive gifts and want to give to someone you revere and appreciate so that is OK too. But remember this is 11:11 gifting to others and thereby gifting to yourself. You can give all 11 gifts on the 11th day of November, 11:11, 11/11 or any time 11 days before or after 11:11. Think of 11 Wonderful things about yourself and write them down. Honour yourself. We spend so much time looking after other people we forget to look after ourselves and know our own greatness and value. Buy 11 Nurturing things for yourself e.g. perfume, soap, fluffy slippers, candles, accessories, reading cards, etc. Really treat yourself and look after yourself. Take time out for you. 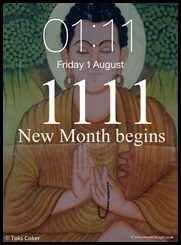 Every 11th day of the month meditate on the number 11 for a minute or more. If you have time meditate for 11 minutes. Everyday every time it is am/pm at these times: 11, 11:11, 11:11:11 think a good thought for the world and for yourself. You can set your time to it if you want or just allow yourself to look at the time naturally. 11 is a magic number and a master number. It is a number that brings in change through chaos and eruptions. We all remember the American 9/11 and 11/9. The Twin Towers collapsed on 9/11 and Trump became president of the USA on 11/9. Both incidents were greeted with immense emotional upheaval with fear. 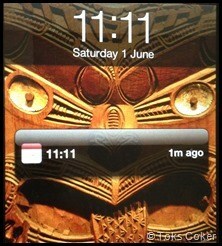 The magic number of double 11, 11:11, brings in lots of sudden change and surprises. Like a double whammy it creates deep internal shifts and transformation within an individual and collectively. 11:11 days in November are 11th and 29th in a 9 year (2016=2+0+1+6=9). 9 is a number of completions and beginnings. So did you connect to the number 11 on the 11th day of November and the 11th month of the year at the 11th hour? No. Never mind. At the gathering on Monday 14 November, we will be collecting all the codes and downloads that came down and combining them with the supper dooper Full Moon. On 11 November I celebrated the gift of children and the gift of me as a child, as I was once. I celebrated the gifts given to me as an adult, from children around me. They are my children – not biologically children. Sometimes I wonder if my children who never came through, send children to gift me from the other side. So I reflected on my gifts from the children around me. Sometimes my children brought me great joy and sometimes great disappointment and pain. My blood pressure rises as I shout and cry with the pain. I am human I remind myself. I am stricter than their own biological parents. There are so many differences. They are not mine biologically, but they are drawn to me energetically to teach them, to guide them and to love them as my own. An African type of love I am told. So I say THANK YOU to my children here now, and there. I thank you my children for your part you play in my life. Thank you for making it meaningful and supporting my Life Force in more ways than one. Thank you for bringing smiles to my face and my life. Thank you for the lessons and the teachings. Thank you for your wonderful growth and development on all levels. Thank you for your love, care, support and respect. On 11:11, I got a phone call from Stephanie Harrison’s daughter, Alicia, whole birth I had predicted years ago in an African Shamanic transmission from my father, a shaman, chief, gynaecologist, father, brother, son, uncle and professor. Her mother had been told she would not have any children. She was giving me the Crystal Crown Chakra Crown I had commissioned her to make for me. I cried and cried and cried. I asked her: Do you know what this means to someone like me? Her lovely answer was: No. Thank you to the eternal treasure of life and it’s many forms. Happy 11:11. 11:11 is a time to call in your downloads and codes as you connect to the Divine. It is a time to heal and empower your very own personal power and confidence. It is a Portal of Love that enables you to work with great light, symbols, flowers, feathers, crystals and much more. Invocation and Prayer are very powerful portals of life force and greatness to work with. Click 11 Invocation. Come feel the power of your 11:11 at the Moon Gathering on 14 November at 7pm. Click this link to find our more: Full Moon and 11:11. Remember to join my mailing list. Energy, Light, Toks, Wisdom, Purity, Divine Emanation, Purpose, Healing, Vibration and Angles. What words add up to 11? Share them below.